What’s this blog post about? Ceuta and Melilla are no longer cities of passage; instead the enclaves imprison those who once slipped, inconspicuous, into Europe. The purpose of the cities changed when the Spanish government published its’ November, 2009 immigration bill. Before the bill people seeking asylum or leave to remain could apply for a yellow card in Ceuta or Melilla, and use the card to travel to the peninsula. Once in mainland Spain migrants could work legally, boosting their chances of being granted residency. In Spain if a migrant works for three years he is entitled to apply for a residency permit. Under the new rules asylum seekers and migrants cannot travel to the peninsula until a decision has been made on their residency application. The yellow card is now a red card, a meaningless distinction which only adds to the bureaucratic nightmare integral to asylum and immigration in many European countries. Legally an asylum seeker or undocumented migrant can cross to Spain from Melilla or Ceuta – but only if they have a yellow card. Yet, the government does not issue yellow cards in either city, only red cards, which forbid travel to Spain. I asked several people in Ceuta to clarify the system of red and yellow cards, and each time I was convinced I had misunderstood, but each explanation tallied with the others. Alejandro Romero Aliaga, a lawyer for the Comision Española de Ayuda al Refugiado (CEARS), an NGO, says the whole process is, in fact, illegal. Alejandro supports parts of the immigration bill. Better protection for homosexuals seeking protection, for example, and substantial subsidiary protection for people who fall outside the internationally recognized definition of a refugee. But, he is angry that by stopping asylum seekers crossing to the peninsula once they have made application, the rules introduce one law for mainland Spain, and another for Melilla and Ceuta. “The law doesn’t distinguish between Spain and Ceuta,” he says. “Keeping people in Ceuta is against the law. The high court says the people have the freedom to move throughout Spain, the UNHCR say they have right to go to peninsula. The only migrants in Ceuta allowed into Spain are the ones granted full refugee status, and people who have lived there for several years. On average asylum applications made in Ceuta take around six months to process, weak cases can take as long as a year. In 2010, out of 311 applications, just two people were granted refugee status, and one subsidiary protection. The historic wall circling part of Ceuta, once a shield against invasion, is a stunning remnant of the city’s ancient battles between the Portuguese, the Berbers and the Spanish. Modern Ceuta is once more a fortress; a prison for migrants trapped in limbo. “Sweet prison”, is how one group of migrants describe their life in Ceuta. Jesus, a charity worker I spoke to, explains: “The Indian people say it is the sweet prison because the government has organized a very good centre in CETI [immigration holding centre]. Rocky Gurdaspurya, pictured, is one of 20 Indians living in Ceuta. When the 22-year-old arrived from New Delhi via Morocco four years ago, his plan was to complete his education in the West – Canada, Australia, or Europe, anywhere he could get to. 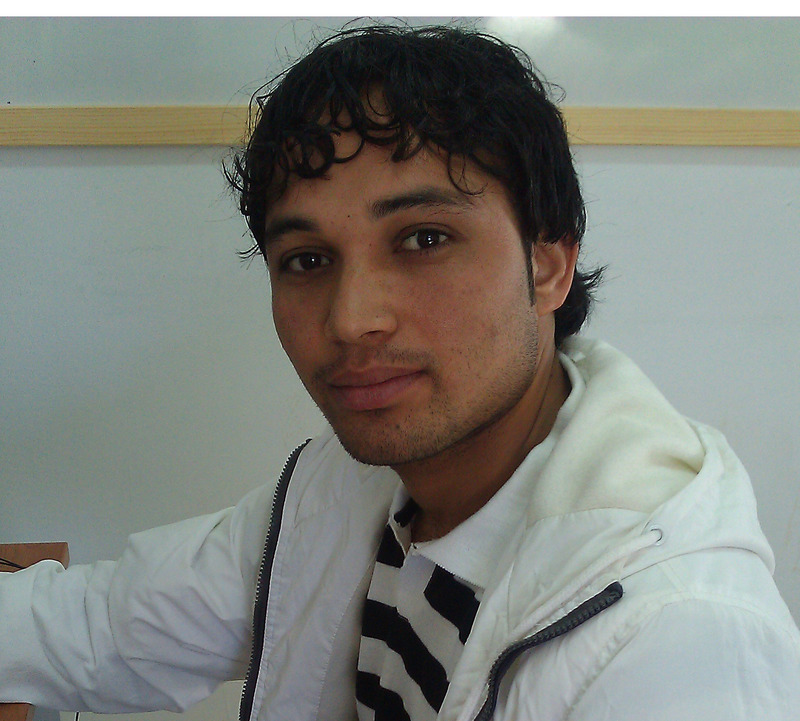 When Rocky left India he believed an international education would mean a better life; four years later, living on the periphery of Europe, his life has become intolerable. Rocky is the epitome of the torment that afflicts irregular migrants across Europe. The perils of returning home for asylum seekers are clear, whether it is persecution, death or torture, and it is a sensible assumption that for ordinary migrants no such danger exists. Yet, for many who begin as labour migrants, the thought of return is equally incomprehensible, because of all that occurs after they leave home. The traumatic transit with the real, ever-present threat of death, the unsettling reliance on the kindness of smugglers, and all that befalls them because of their status as criminals, bestowed on them once they set foot in the European Union without documents. Some refuse to return with nothing but harrowing memories. That is why, on their through Europe, when it becomes clear that the only route to a work permit is asylum, some lie about their circumstance.